I'll have to admit, I was pleasantly surprised. This movie has real heart and cries out in the name of honor, which seems to be all but lost these days. 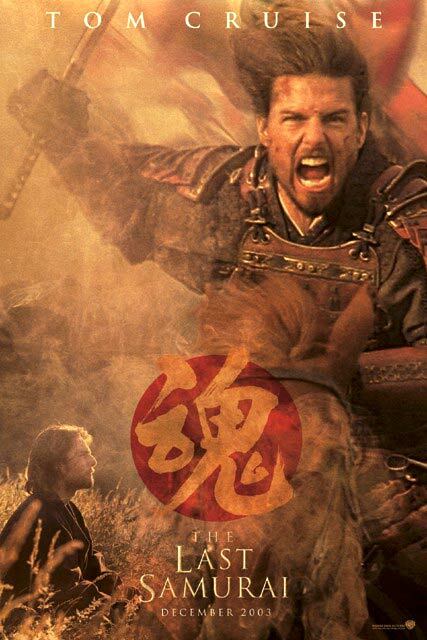 And, thankfully enough, the story is easy enough to follow such that I could actually see how Tom Cruise could be considered "The Last Samurai." With that said, however, Cruise's character is completely fictional and as such has drawn fire from critics who condemn the tampering with history and even purport that the film is yet another example of Hollywood hailing the superiority of whites. While I do agree that I'm not very comfortable about misrepresentations of history, I completely disagree with the white supremacy viewpoint. Those who espouse that viewpoint obviously never watched this movie, for it is the traditional Japanese qualities of discipline and honor which are praised and the Western culture's traits of greed and power which are despised. In any case, let me judge the movie and not the history nor the social issues. The story is set in the 1870's in Japan and is built around the development of Cruise's character, Captain Nathan Algren of the US military. Algren has has experience fighting the American Indians and is hired by Japan to train its own army which hopes to eradicate the Samurai, a group of warriors who are a rebellious disturbance to the Westernization of Japan. Algren himself has his own problems which he tries to drown with alcohol in order to escape the nightmares of his own past which haunt him day and night. And so, when offered a handsome sum of money, this mercenary reluctantly heads out to Japan. There he finds an inexperienced and timid group of soldiers and begins his work. 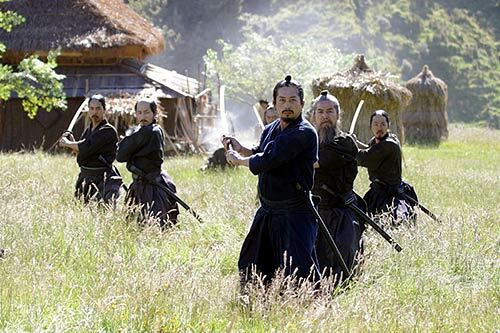 However, when his employers demand a showdown with the Samurai, against his own judgement, he leads them into a losing battle and is himself taken captured by his adversaries, but not before taking a few of them out in a valiant last stand. Algren has lost in battle, and we see that he has lost in many other ways as well, losing even his will to survive. 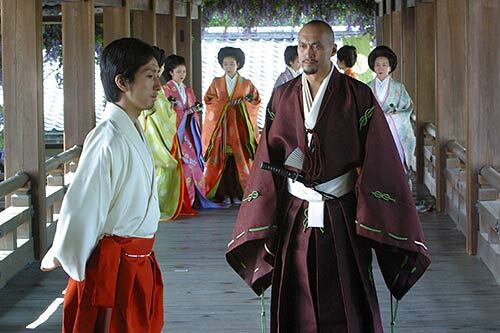 Once a prisoner of the enemy, the story gets turned upside down and Captain Algren learns to appreciate and respect his captors and their leader, Katsumoto (Ken Watanabe). He sees the beauty of their culture, the discipline of their lives, and the honor within each of them. Over the long winter he begins to learn their way of life, their language, and their way of fighting. When he is finally released, Katsumoto says to him, "When you entered my village, you were my enemy. But you leave as my friend." Algren then finds himself in the middle of the struggle between the Western way of life and the traditions of ancient Japan which the Samurai have sworn to protect. A minor subplot echoes Algren's struggle in the Emperor of Japan (Shichinosuke Nakamura). He is a very young emperer who finds his own power weakened by his youth and by the rising power of political leaders influenced by the greed and power of Western civilization. There is also a touching love story between Algren and the widow of a Samurai warrior whom he killed in battle. The story is very moving on a number of levels, and it is very good at turning things around and getting you to look at things from a different angle. For instance, Katsumoto and the Samurai are compared to the Native Americans ("the red man") by the leaders of Japan for their use of primitive weapons and their savage way of killing. But when Algren meets Katsumoto, he (Katsumoto) compares himself to General Custer who is about to take his last stand for what he believes in. 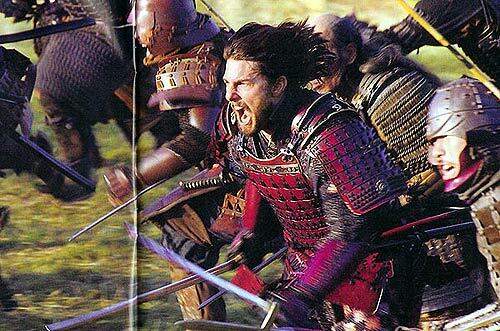 Besides the excellent script, the movie includes beautiful landscapes, superb costume design, and thrilling fight scenes. The latter are choreographed perfectly and interspersed throughout the film such that we never have a chance to get bored. There are two things, however, that really stand out in this film that I felt were just great. The first is the fact that Cruise, who is normally revered and idolized for his charm and good looks, is in this movie made fun of, beat up, spit upon, and despised because of his stench and his "ugliness." The other is that towards the end of the movie, Cruise speaks entirely in Japanese and all dialogue between him and other Japanese people is subtitled. I think that both of these features help to get us to change our point of view, if only for a brief moment. Thus, I came to truly love this movie and everything that it stands for. And even though the story may be fictional, the setting and the ideals which it upholds are very real. While it has been argued that this movie needed a popular white actor in order to attract an audience in the United States, I would instead argue that the white role is needed not to attract the audience, but to transform it. And it could have been any race, as far as that goes, as long as it was someone from the US that we could identify with and then be transformed along with. As for Cruise, he did a marvelous job in his acting, his fighting, and in his speaking of Japanese (not that I would be a good judge of that, but just the fact that he did it was moving). I'm not really a huge Cruise fan, but I've gotta tip my hat to him and this epic film. How would you rate the movie The Last Samurai? There have been 32213 people to visit this page since Sat, Nov 29, 2003. And you are the first person to visit this page today!